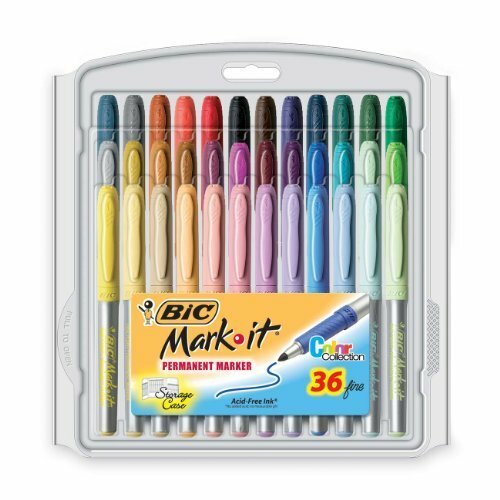 Bright, fun and fashionable-fine-tip, smooth-flowing Mark-It markers provide precise control. Color-matched, textured rubber grip delivers ergonomic comfort. Alcohol-based, nontoxic ink lays down vivid, quick-drying, water-resistant lines on glass, metal, plastic, paper, photos and more. Contains 36 Assorted colors and it is a PVC free product.